From your previous feedback, there’s a new setting in Browser > Start Page called “Preload Discover contents”. If this is unchecked, no Discover content will be preloaded. Opera 16 won’t preload Discover content in off-road mode. You can read the full changelog. Please feel free to test and leave us comments – if you are not on the Next stream yet, go ahead and download it from attached links. 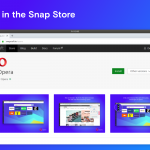 Opera and Opera Next run as separate installs so you can still use Opera 15 while running Opera Next 16 side by side to try out the new things. 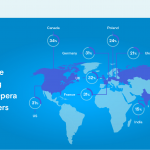 Opera Next 16 will also automatically update itself so you’ll always have the latest build. Usually, the first few comments are about the roadmap, so here are the features we’re currently working on: bookmarks, synchronization (Opera Link), enhancements in tabs handling (ie pinning and visual tabs) and themes. Our new rapid release cycle means that you should see the first cut of some of these in a few weeks’ time.